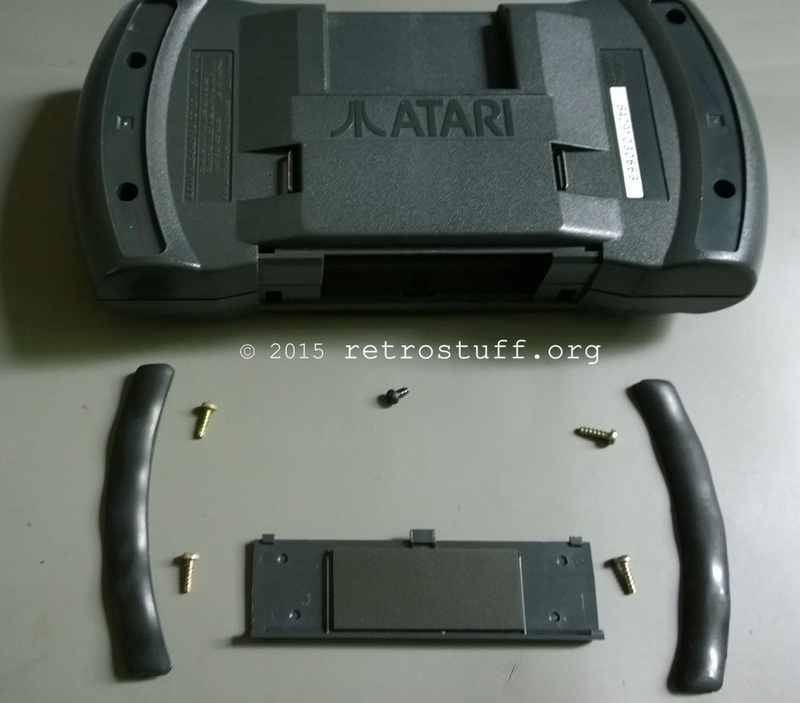 Remove the two rubber feet to reveal four screws. 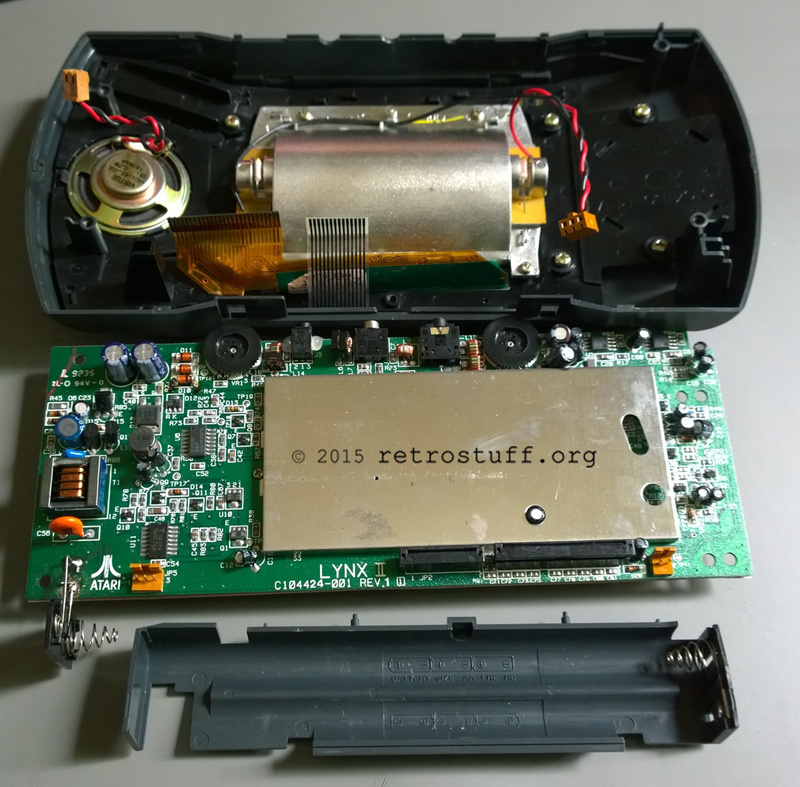 A fifth screw is hidden in the battery compartment. After carefully unplugging four connectors you’ll reach the mainboard. Now follow the instructions by McWill, eventually you’ll be advised to check the 5V connection. 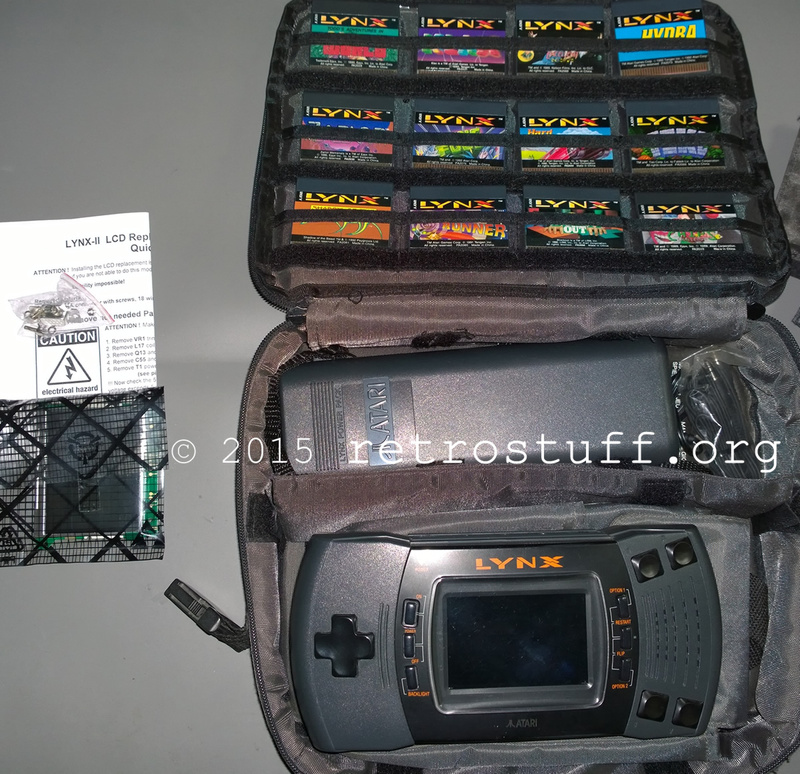 If you don’t get any voltage then insert a game, without it the Lynx won’t turn on. If there is still no voltage (or if it exceeds 5.45V) then the original circuit has failed already and needs to be replaced with a modern regulator. 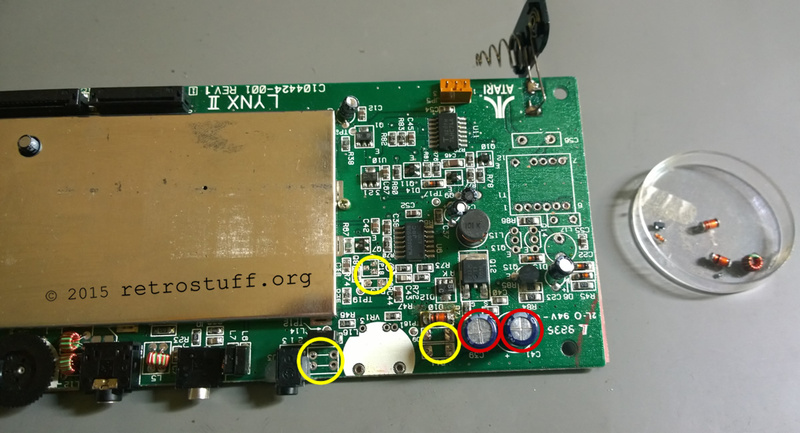 Remove the five unneeded parts (yellow circles) and also have a look at possible leaked capacitors (red circles). 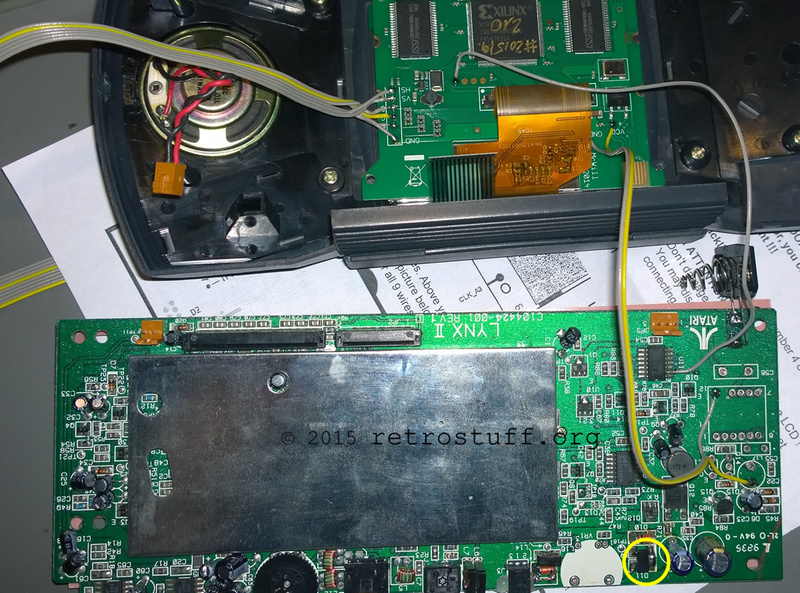 I first went for the instructions with a SMD regulator LD1117S50TR as described here. Well, that was a bad idea. The regulator gets very hot within the first minute and then the game stutters and eventually shuts off. It only works reliable when the internal screen is turned off and the video is sent through VGA out. 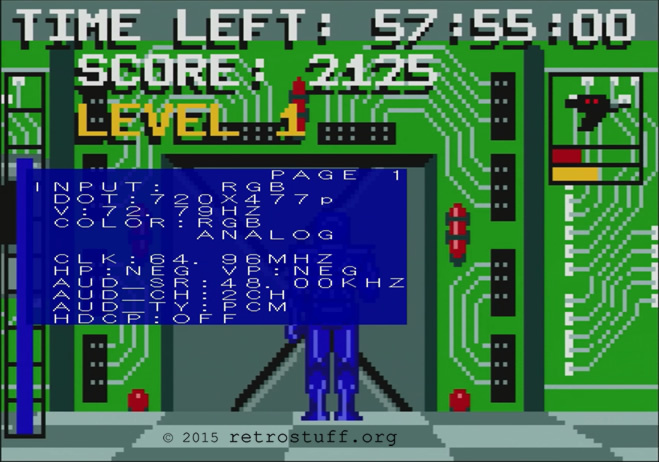 A much better option is a RECOM converter, as described here. 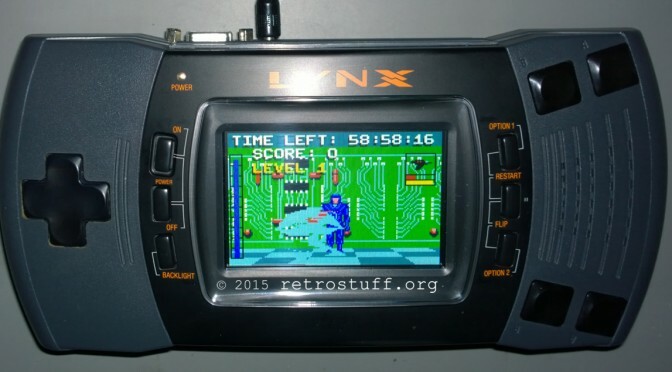 After that was fixed (the Lynx has been running for hours now and didn’t fail once) I was looking for a way to connect it to the Framemeister. 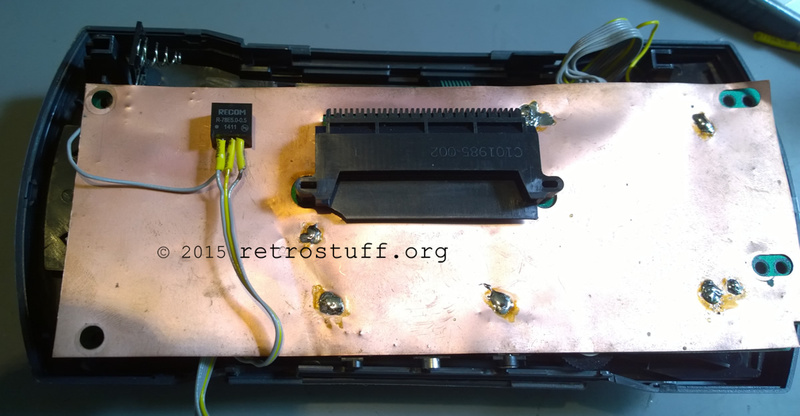 It turned out that the RGB-in port accepts a 31 kHz signal too. To make use of the port H-sync and V-sync need to be combined to composite sync. 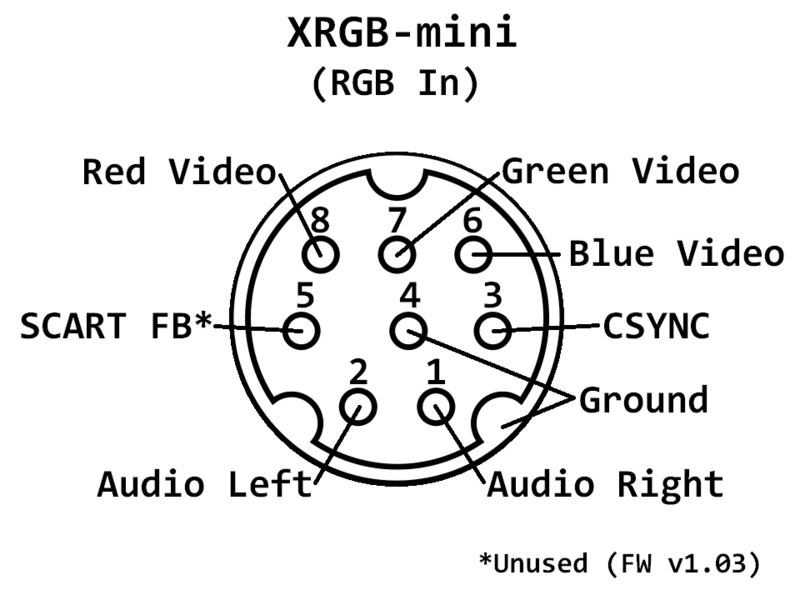 Instructions for a sync combiner can be found here, pinout for RGB-in here. Yes it works fine. I’ve got this R-78E5.0-0.5 from McWill – he should know what’s good for the mod and what’s not.